If you want more clients, you need to do one thing: Prospect. 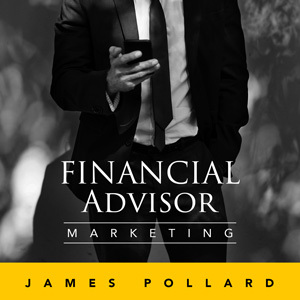 But cold-calling, cold-emailing and chatting up strangers at networking events… most financial advisors hate it. After all, they got into financial advising because they want to help people get wealthier, not to fill their day with talking to strangers who might not even want to talk to them. Your dream of financial freedom and quitting your job can become a nightmare. It doesn’t have to be that way. This episode is for you if you want to have fun while prospecting and get more clients at the same time.